We’re in the fleeting thick of it now—trillium time, apple blossom time. It is only a moment in the wheel of the year, so savor. How quickly a square of chocolate melts in the mouth and is gone. What if you could only have one once a year? 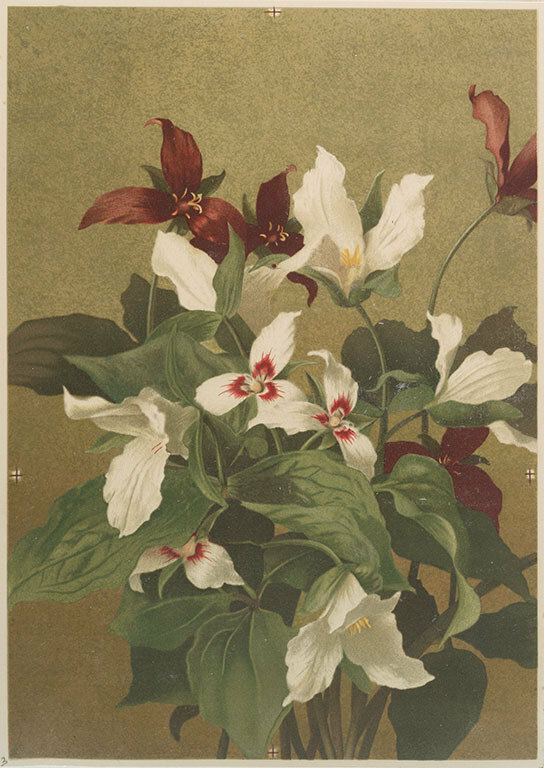 Trillium print by T. Ellen Fisher, c. 1900.
we were built for Eden. how it was in Eden. nor freeze the long dark. but had to have the world.